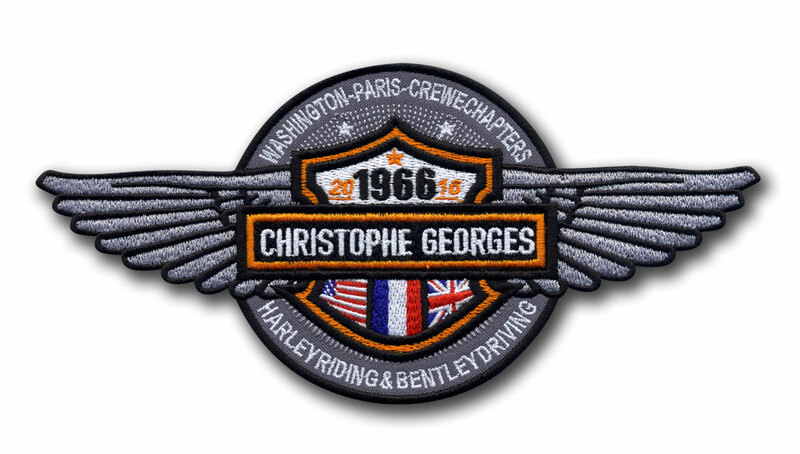 Custom shaped motorcycle riding patch. Gray wings on the left and right side. 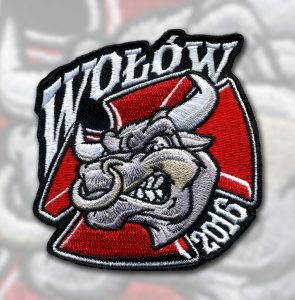 Round part in the middle of the patch including a shield with flags of United States, France and United Kingdom. Are you rider? 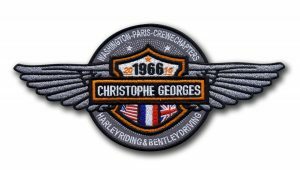 Looking for a crew motorcycle emblems? Email us your logo today, get quotation within a few hours. 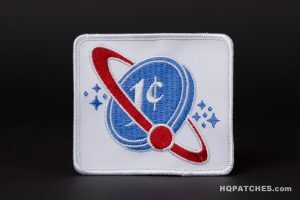 Receive your patches within 10 days since today. 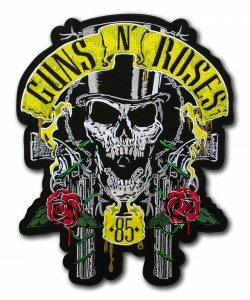 Best quality always guaranteed.